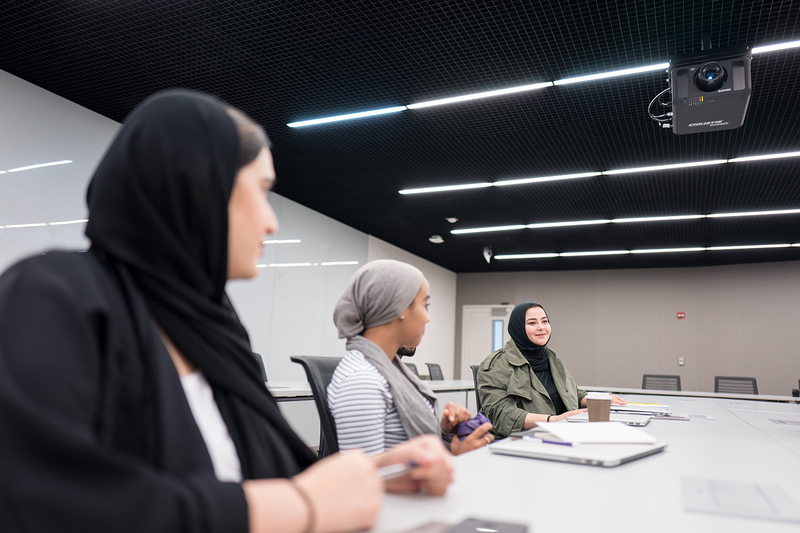 Equipped with state-of-the-art technology and facilities, NU-Q is one of the largest campuses for media and communication anywhere in the world. The four-story facility in Education City was designed by renowned American architect Antoine Predock. Having spent 60 years of his life in New Mexico, Predock is known for buildings that reflect the majesty of the desert and are integrated perfectly within it. The building has achieved a LEED Gold Certification, a mark of quality and achievement in green building construction. LEED certification means healthier, more productive places, and reduced stress on the environment by encouraging energy- and resource-efficiency. 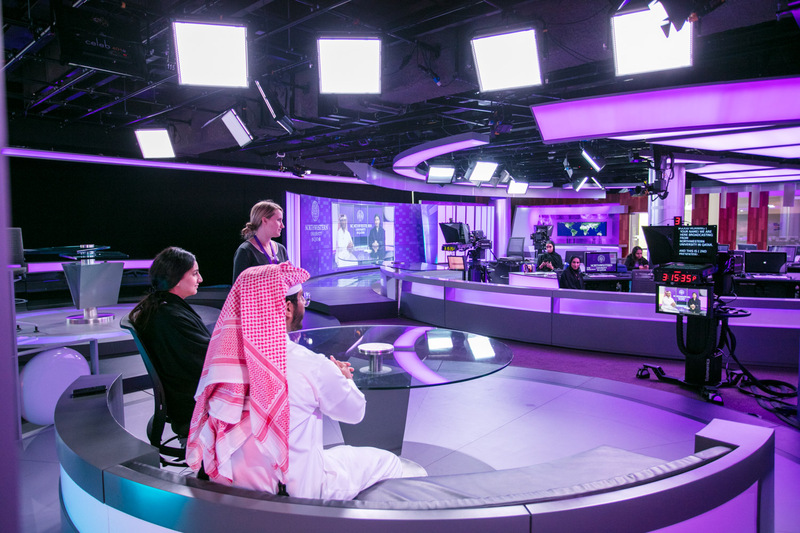 NU-Q’s fully-automated newsroom features some of the most advanced technology in broadcast and production. 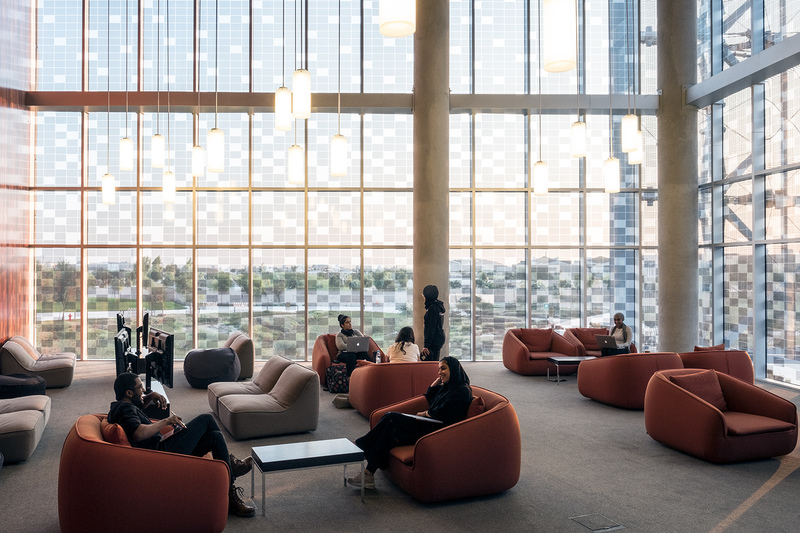 Designed by Beirut architect Ali Wazani, the space allows students to work in all components of news production. 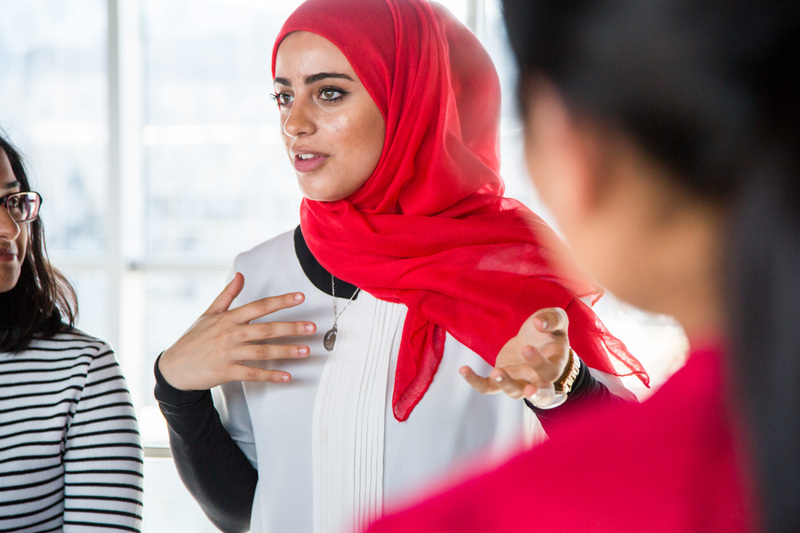 Using a feed from live newswires, students are able to gather information and transform it into stories, graphics, and other digital visualization elements. The automated newsroom, which is the first of its kind in Qatar, and unique in the region, enables one person to run the entire show. The modular design of the newsroom allows students to produce a variety of programs using the available set, which can be converted to include talk shows, a panel on social media feeds, a modern news desk, and an interactive video wall. The newsroom includes its own control room and an edit suite to produce graphics and render audio, as well as the ability to produce live reports across multiple platforms. 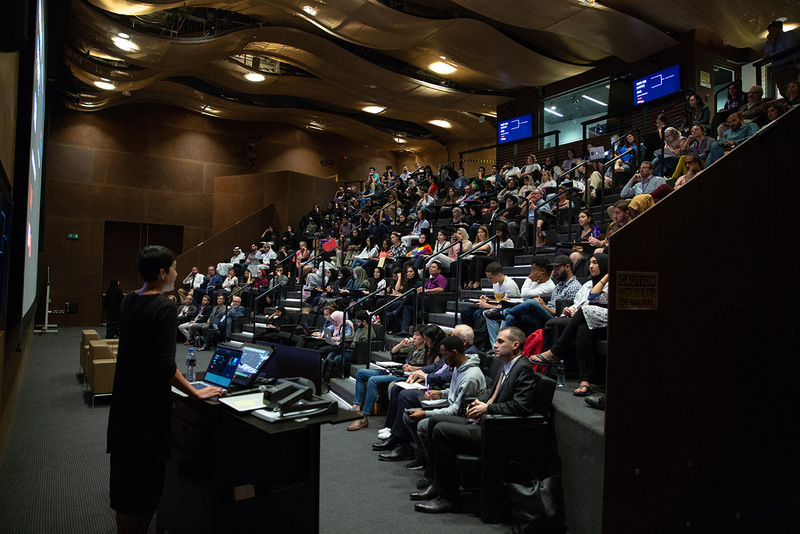 NU-Q's building offers several dedicated spaces situated for performance and presentation, including an auditorium, black-box theater, and projection theater. 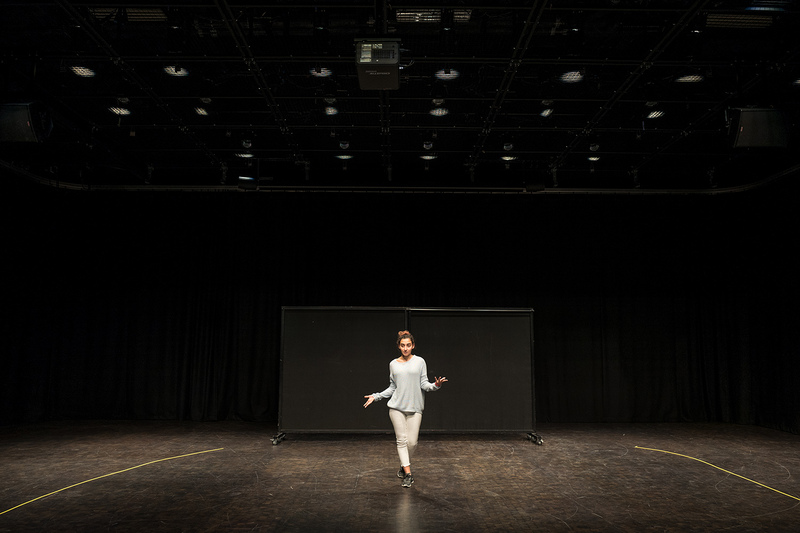 The Black Box is a large multipurpose space for students to produce videos and plays. It includes a separate set design and construction room. The studio is rigged with lighting equipment and special audio-cancellation and flooring. The auditorium, which fits 115 people, features a large HD projector and can be used to record and stream live events. 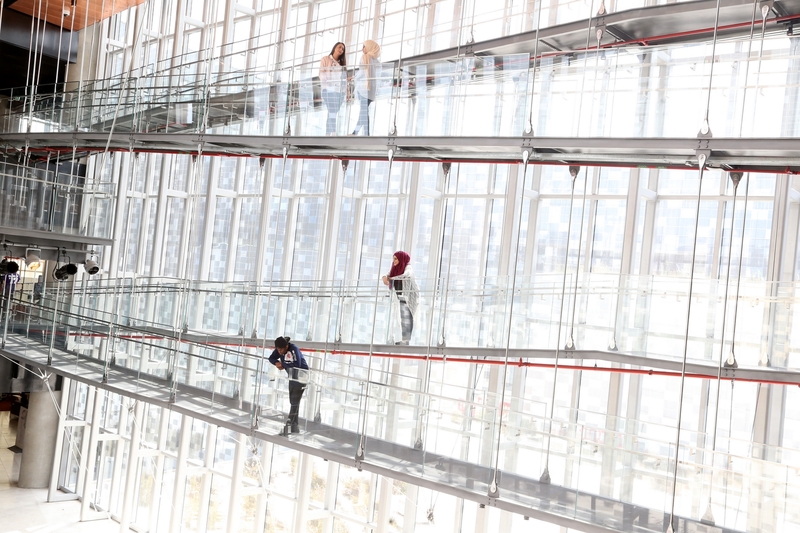 Located in the heart of NU-Q’s building is a two-story library overlooking the Education City Oxygen Park. 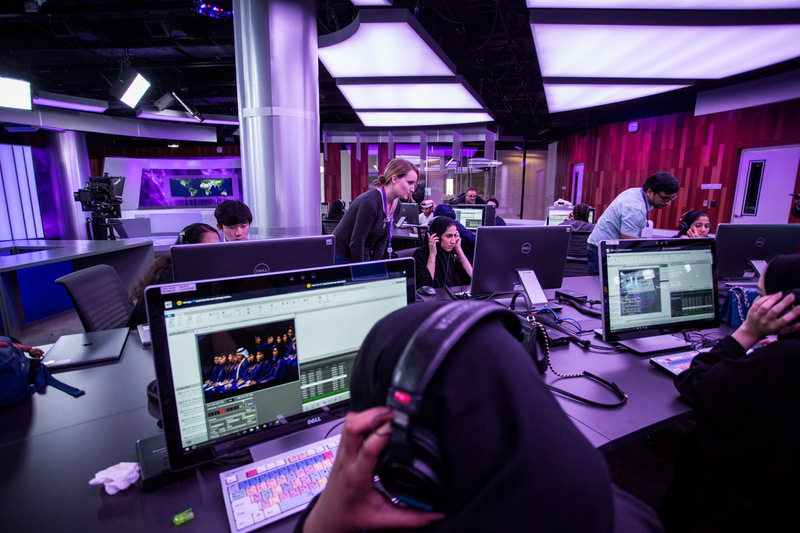 Northwestern's campus in Qatar is educating the next generation of journalists, researchers, and media leaders.